Looking for a food specially formulated for kittens instead? 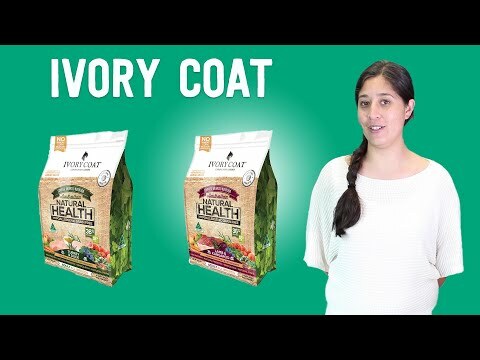 Try the Ivory Coat Grain Free Chicken Kitten food. Wet food is great way to increase your cats water intake which can help prevent urinary crystals and other conditions. 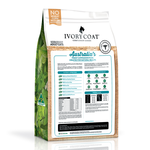 Check out our range of grain free tinned food for cats. 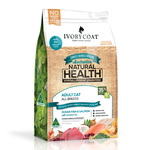 I started to try grain-free natural diet for my outdoor domestic cat since a while ago. And this is one of the successful natural brands that were well accepted by Bluey. He didn’t like it much from the beginning but he soon accepted it. I believe cats can be trained to adapt to different foods. I choose what’s good for him but don’t judge by his first reaction. Many children like McDonalds foods but are they healthy at all?! I like the fact this food is Australia made from healthy ingredients without nasties. Still trying different brands so far but I will stick to the grain-free diet option. 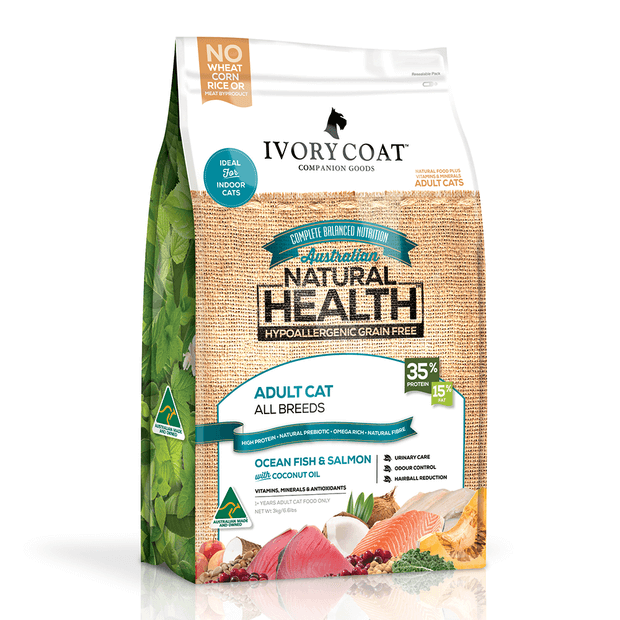 My cats love the Ivory Coat Kangaroo and Chicken, but are too fussed about this and this gives all 3 runny and very smelly poos, I've thrown 1/2 a bag away. The Kangaroo and Chicken their poos are firm and not too smelly which means it's digesting much better.